Show your Panther Creek Band spirit! 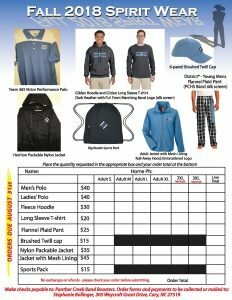 You can support the Panther Creek Band from head to toe with hats, shirts, PJ pants, socks and more! 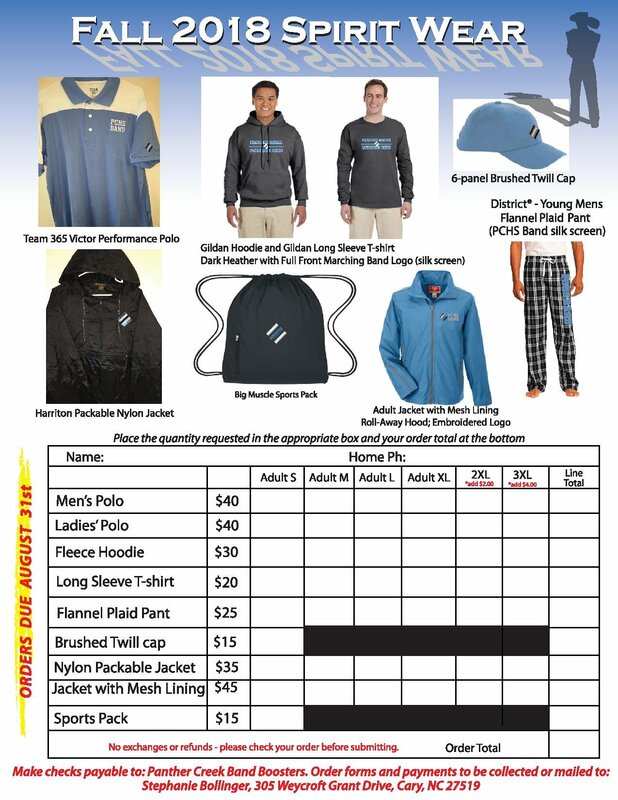 Print and complete this order form to get your spirit wear for Fall. 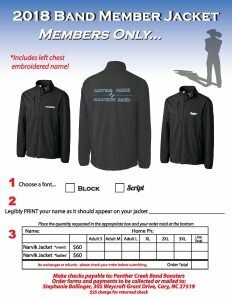 The 2018 band member jackets are also available at this time. 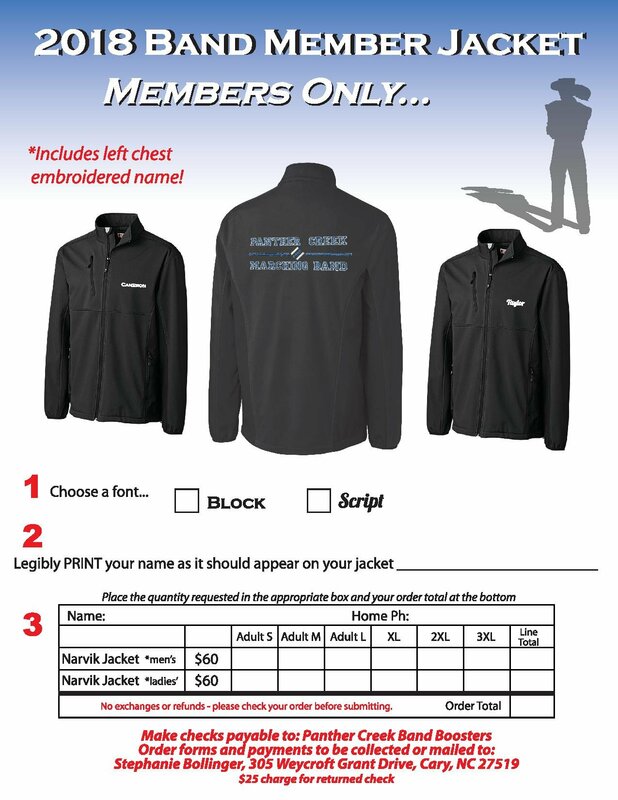 Complete the order form below to get your embroidered jacket.